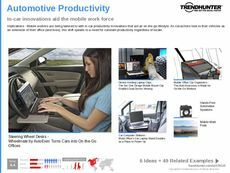 Find Better Ideas, Faster ® with a custom productivity tech trend report, our PRO Dashboard and 80+ categories of premium trend reports. 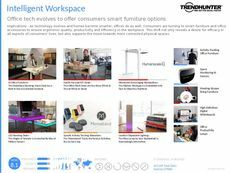 The Productivity Tech Trend Report examines the latest products and platforms aimed at increasing productivity in the workplace and in homes. 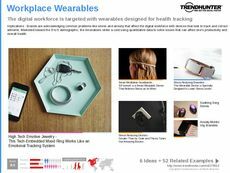 This report addresses the latest in apps, wearables and monitors that track your productivity and time management. Additionally, an influx of relaxation platforms have emerged that acknowledge the importance of mindfulness and rest, key elements that aid in productivity. This report will also look at ergonomically designed furniture that encourages productivity and healthy workplace practices. This report is ideal for product designers, industrial designers, electronic goods manufacturers, app and tech developers. As more consumers become concerned about their personal health and wellness, productivity has become a main focus. Use our report to find out what types of products and technologies are grabbing the attention of consumers. 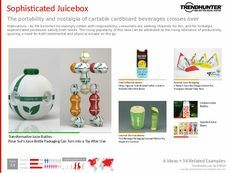 Use the Productivity Tech Trend Report to gauge consumer interest into relevant products, and gain insight into this flourishing industry.